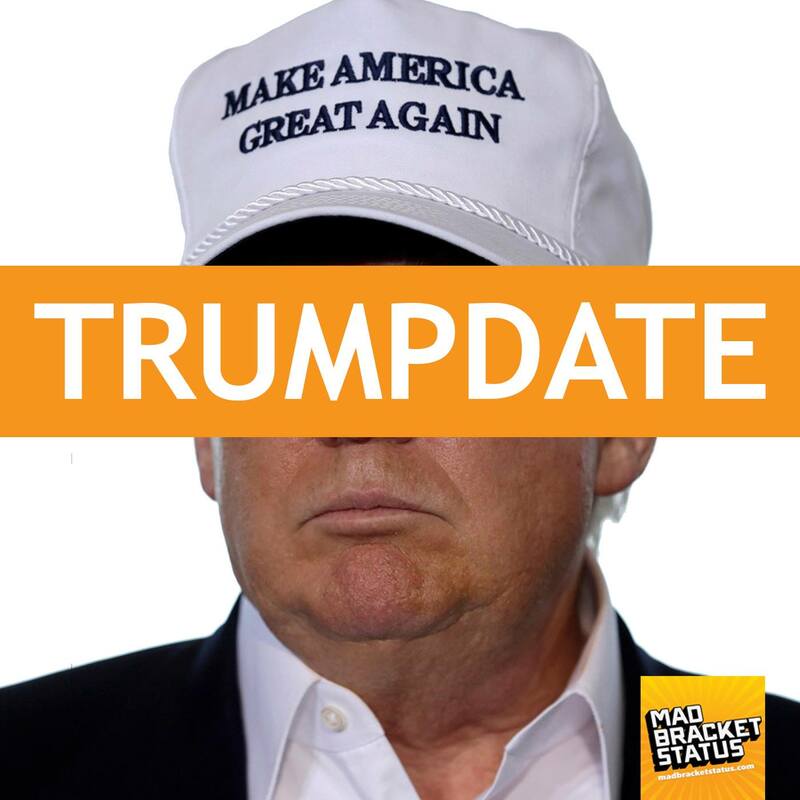 It is no secret that we at Mad Bracket Status are obsessed with the goings on of Donald Trump. Fun fact: for Christmas 2011, Nando bought DJ a talking Donald Trump doll. We're true fans and as fans, we are constantly talking about the Donald on our podcast Mad Bracket Status with it often leading to long tangent conversations that may or may not derail large sections of the show. Because of that, we have created what is essentially a spillover podcast where we will just talk about the Trump presidential campaign. We are calling it The Trumpdate. There are all kinds of fun segments like "Trump Supporter of the Week", "Trump Firing of the Week", and "Trump Feuds of History". Really we want to learn about what makes the man tick. And luckily for us, he is showing no signs of stopping. The first debate is tomorrow and we are incredibly excited for it. You can listen to the first episode of The Trumpdate here and once it is on iTunes, we will give you links to subscribe. Until then you can like us on Facebook and follow us on Twitter for Trump related updates.